I am trying to find that balance. I’d say I am okay with ink, but heavy-handed with color. Today I decided to try two things. The first is above – a simple “country” scene with trees (and green! remember yesterday? ), a fence, and a building. 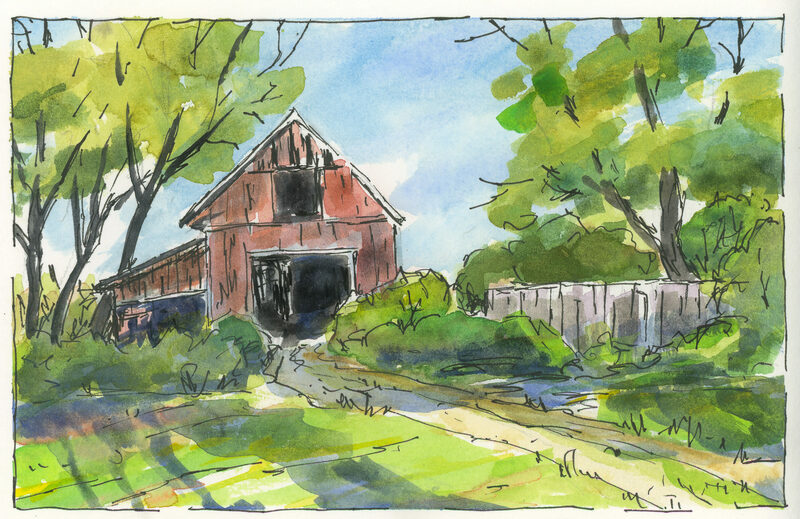 The idea was for the sun – the light source – to be coming from the left, behind the barn. I’m not so sure what that big blue thing is to the right of the (obvious) three shadows of the trees, but it’s too late to do anything about that! This one is an urban scene, one obviously not in downtown Los Angeles, but in some older part of the world. 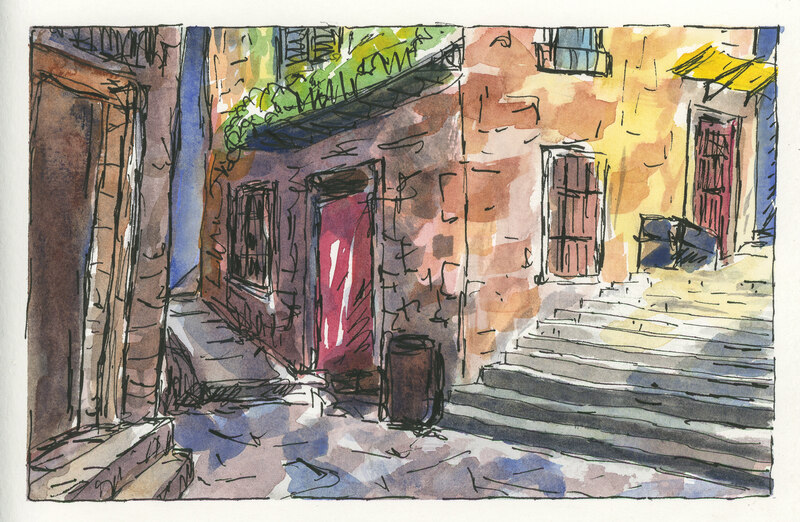 Here, the light is coming from the right, perhaps, but the alleys and buildings create their own logic. Shadows are broken up with bright spots. One can only imagine that to find the light, looking up will reveal a world much different than the one on the ground. I think this one was fairly successful; there are parts which seem to work, and others that make no sense at all – like, what is that thing? Scribble more ink on it and let the viewer guess!